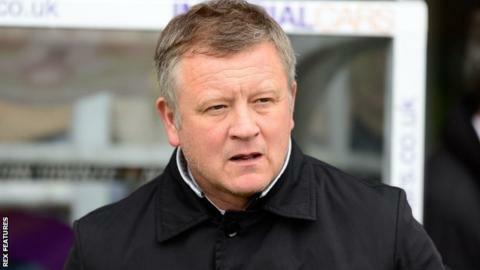 Northampton's Chris Wilder is Bolton's preferred choice to be their next manager, BBC Radio Manchester reports. The 48-year-old ex-Oxford manager has guided the Cobblers to promotion from League Two this season, after a series of financial problems at the club. Wilder is currently on a one-year rolling contract with the League Two side. Jimmy Phillips has been in charge of Bolton since Neil Lennon left in March but could not prevent relegation. Wanderers chairman Ken Anderson said on Monday that the club had a shortlist of three managers from applications they had received and hoped to make an appointment soon. The Championship's bottom side have also confirmed that assistant manager Steve Walford and first-team coach Garry Parker have left the club.